The concept of fusion in food can be magical—when cuisines and cultures collide, combining flavors, ingredients, and methods from around the world creates new classics, the best of which become staples in our everyday lives. Trends like Japanese Matcha in our lattes, Korean kimchi in our burgers and Thai Sriracha hot sauce on—well everything—prove that our love-in with Asian cuisine is thriving. Tokyo is now considered a food-forward city, currently boasting 15 three Michelin-starred restaurants (compared to France's 10). Over the past 20 years there has been a surge in celebrated French patisserie chefs moving to Japan to open fine patisseries. 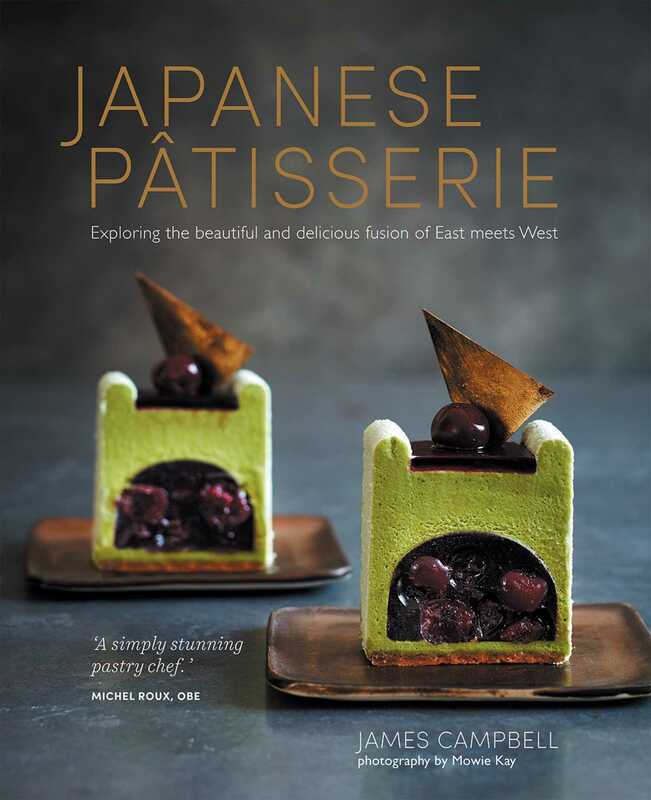 The art of French patisserie appeals very much to the Japanese culture—both share values of beauty, precision, and care within cooking. This book features 60 recipes, from reinvented classics to stunning Patisserie creations made achievable to the home-cook. The chapters will be broken into Small Cakes & Individual Patisserie, which will include Lemon & Yuzu Éclairs. Sweet Tarts will offer delights such as Miso Butterscotch Tarts and the Large Cakes & Gateaux section offers celebration cakes like a Matcha & Pistachio Opera. In the Desserts section find dinner party classics with Japanese twists such as White Sesame & Adzuki Cheesecake. The Cookies & Confectionery chapter is full of fun treats like Sesame Peanut Butter Cookies and a Green Tea chocolate candy bar. To finish, some mouth-watering savory recipes such as Panko Donuts stuffed with Pork Katsu. A flavor matrix will helpfully map key characteristics of Japanese ingredients.